Tiffany’s first child passed away only days after being born. Not long afterward, she discovered she was pregnant. Six months later her son, Deshaun, was born premature, fighting for his life in the Neonatal Intensive Care Unit. “He was on life support and I thought he wasn’t going to pull through,” she recalled. But this time, Tiffany had someone by her side at Long Beach Memorial Hospital to provide help: her Welcome Baby parent coach. For two months, Tiffany sat next to the incubator, waiting to hold her baby. She brought with her a small baby book, “Happy Baby”, from a new mother kit provided by Welcome Baby. While she couldn’t reach Deshaun through the incubator’s plastic shell, Tiffany touched her baby with the love in her voice each time she read the book to him. Thankfully, her bonding with Deshaun did not end there. 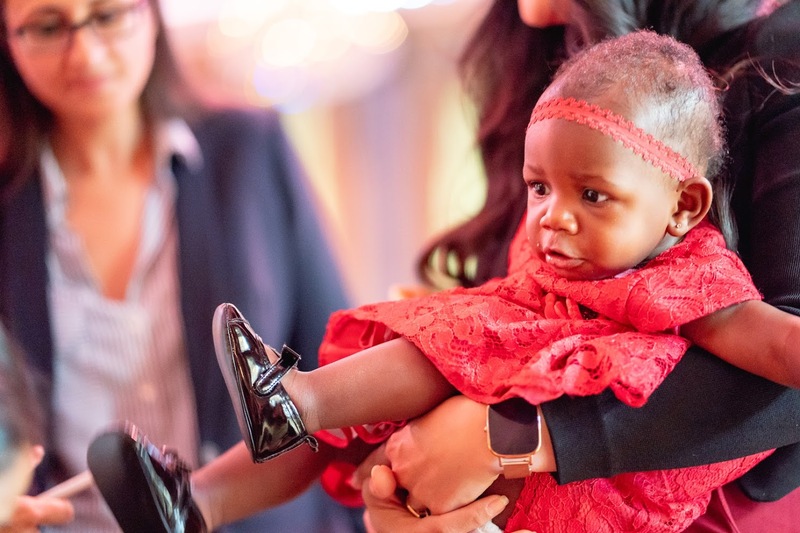 Through Welcome Baby, Tiffany learned to bond with Deshaun – now 4-1/2 years old and going strong – and two more healthy children she has given birth to since at a Welcome Baby hospital. Her youngest, 1-year-old Nevaeh, was born at Martin Luther King Jr. Hospital. Throughout the pregnancy, birth and first nine months of growth of each child, Tiffany has benefited from the in-hospital and home visits through Welcome Baby and other First 5 LA-funded home visiting programs that provide bonding and attachment advice, resources, infant developmental information, parenting tips and so much more support than can be listed on the Welcome Baby web page. 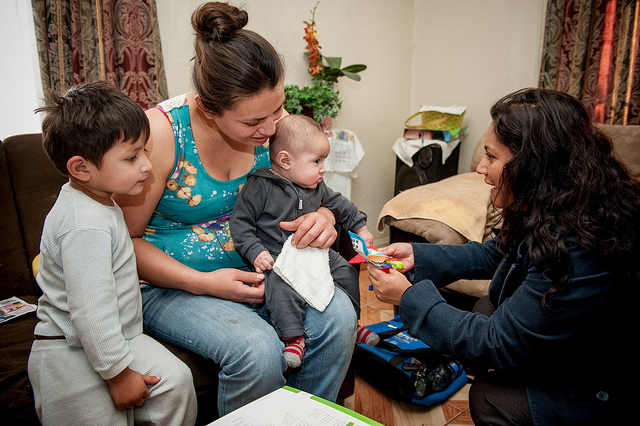 When it comes to home visiting, First 5 LA is pointing others in the right direction, as well. New developments in countywide home visiting efforts, a first-of-its-kind state home visiting initiative and recent research all reflect First 5 LA’s growing influence in programs, partnerships and policy and advocacy to enhance and expand home visiting in Los Angeles County, California and beyond. 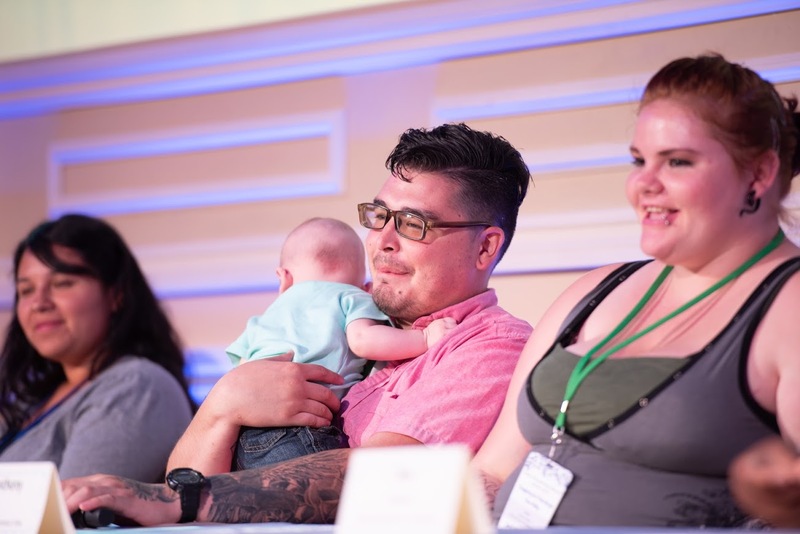 Perhaps no better showcase of the impact of home visiting in L.A. County is the LA Best Babies Network (LABBN) Family Strengthening Network Summit, co-sponsored by First 5 LA and held each June. The 2018 event drew more than 500 participants from nearly 40 agencies, including home visitors, nurses, hospital liaisons, staff, supervisors, researchers and First 5 LA staff and leaders to celebrate the power of home visiting, share research and hear testimonials from parents and home visitors. Citing an April First 5 LA-funded study by Social Quest researchers that interviewed moms participating in home visiting, Belshé pointed out three key takeaways: 1) home visitors create a meaningful and powerful interpersonal bond for moms during what might be a chaotic time in their lives; 2) moms feel supported and validated by the caring and nurturing of home visitors; and 3) home visitors win a deep trust with their clients. The work is not easy. According to the Social Quest study, home visitors typically deal with a high caseload (up to 10 visits per week), may use their personal resources to help clients (buying them a phone), have limited office space to do their work, face frustrations with entering data into a database and encounter emotionally involving work when visiting clients in cramped, filthy or unsafe environments. Alvarez was only able to see the family for about two months. The mom became unresponsive after Alvarez made a report to the Los Angeles County Department of Children and Family Services. Click here for “Confessions of a Home Visitor” for a powerful profile of a L.A. County home visitor. Indeed, study after study reinforces the positive impact of home visiting, with news on research, programs and developments appearing in articles across the nation regularly (see related article). 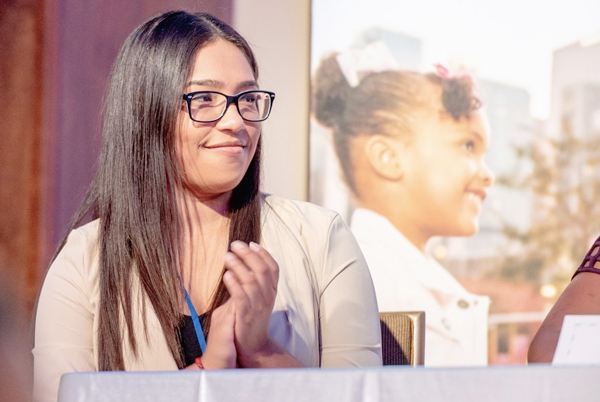 At the Summit, Cheryl Wold of Wold and Associates shared A Portrait of Los Angeles County, which recommended investment in home visiting as one way to address gaps in well-being and opportunity among county residents. And Dr. Gloria Castro of the University of California, San Francisco, spoke to the positive influence of home visiting on new mothers who have experienced trauma in their lives. First 5 LA is currently the largest funder for home visiting in L.A. County, representing 45 percent of the total funding. In addition to other Home Visiting programs (which may be referred to as Select Home Visiting or SHV), First 5 LA’s largest home visiting investment is Welcome Baby, a free, voluntary program begun in 2009 that provides L.A. County pregnant women and new moms with information, support and a trusted partner to help them through the journey of pregnancy and the first nine months after their child’s birth. Welcome Baby is available through 14 hospitals in L.A. County within the 14 Best Start Community Partnerships. Testimonials like these from parents and home visitors — along with data and research — are bolstering First 5 LA’s efforts to enhance and expand home visiting in the county, state and beyond through its communication, policy and advocacy work. These efforts are crucial. Sustainability is one of the most pressing challenges facing the network of home visiting programs in L.A. County. In addition to the challenge of unmet community need, current funds cannot be sustained, particularly as First 5 LA funding continues to decline with the loss of tobacco tax revenue. Home visiting is First 5 LA’s most significant and long-standing investment, at approximately $41 million annually. Recognizing that it cannot do it all alone, First 5 LA placed an emphasis on partnerships with other funders, government agencies and early childhood advocates as part of its 2015-2020 Strategic Plan. And it is beginning to pay off. On the county level, First 5 LA has been involved in a number of significant developments since 2016, when the L.A. County Board of Supervisors, led by Supervisors Sheila Kuehl and Janice Hahn, passed a motion directing the Department of Public Health as the lead, along with First 5 LA, the LA County Early Childhood Perinatal Home Visiting Consortium, Children’s Data Network, and every child and family-serving county department to come together to develop “a plan to coordinate, enhance, expand, and advocate for high quality home visiting programs to serve more expectant and parenting families so that children are healthy, safe and ready to learn.” The group has been meeting every two weeks since the motion passed to develop a countywide plan to be submitted to the Board of Supervisors. John highlighted the latest progress as a result of the Board of Supervisors’ motion: “This is a significant time for home visiting in L.A. County,” said First 5 LA Senior Program Officer Reena John, who oversees the agency’s Home Visiting sustainability efforts. 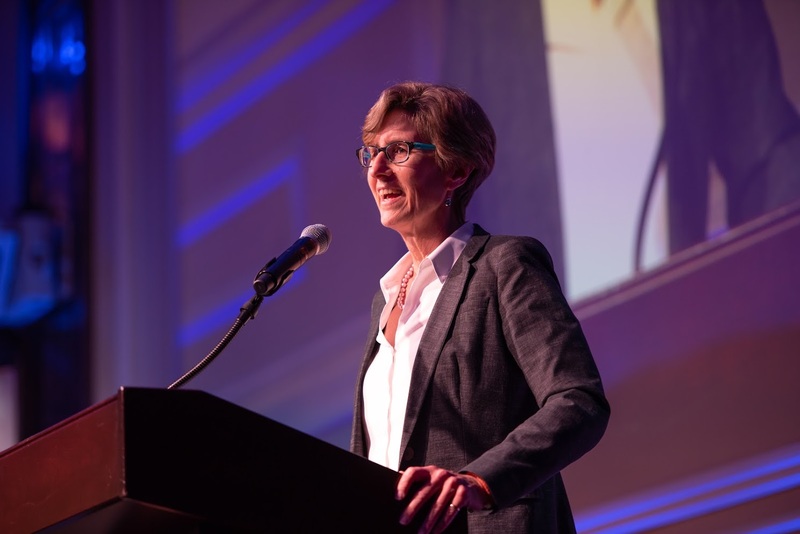 Kuehl, who also serves as the chair of the First 5 LA Board of Commissioners, has touted the power of home visiting – and First 5 LA’s Welcome Baby program — in a number of her own blogs. “I see this in many ways as a prevention program,” Kuehl has said, pointing to potential savings that can be made in reduction of child welfare, mental and public health services for children through home visiting. On the state level, Governor Jerry Brown proposed and state legislators in June passed a $158 million Home Visiting Initiative (HVI) allocation in the 2018-19 state budget: “CalWORKs: Baby Wellness and Family Support Home Visiting Program,” which allows counties to utilize their CalWORKS dollars to support home visiting. The pilot initiative will be funded through 2021, with the intent to expand the program to serve more families pending the pilot’s success. This is the first time the state is directing funds toward home visiting programs, a major victory for First 5s and young children alike. 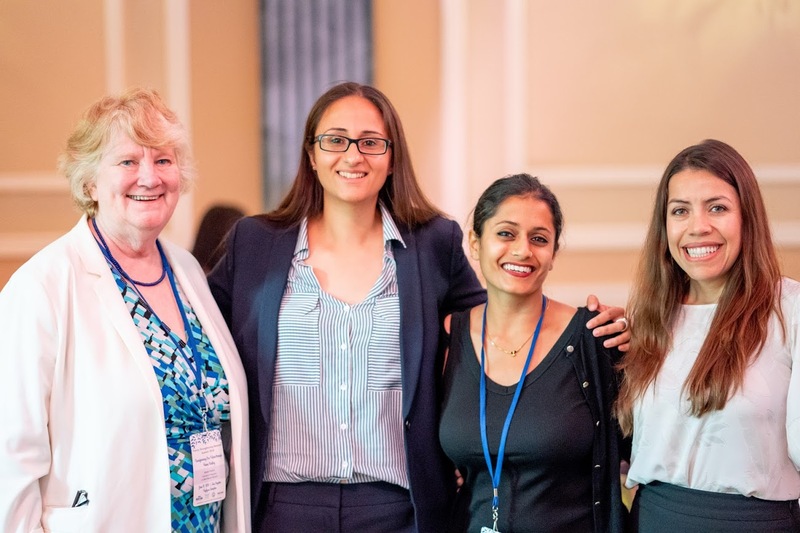 First 5 LA Policy and Programs staff was directly involved in informing/educating policy decision makers at the state level regarding how best to shape the HVI allocation to best meet intended outcomes and family needs. Learnings from the L.A. County pilot effort, a partnership between DPSS and First 5 LA (mentioned in the above bullet), helped inform the advocacy efforts. “We participated in stakeholder groups, met with legislators and administration staff to advocate for state investment in home visiting,” said First 5 LA Senior Policy Strategist Charna Martin. “We were able to share the L.A. County pilot program design, implementation progress, initial data points, and shared learnings from the development as well as work with our county partners and advocates to rapidly respond to questions and offer resources to support program design and timelines. Finally, on a federal level, First 5 LA successfully advocated alongside other early childhood advocates throughout the nation in Washington, D.C. for the reauthorization of the Maternal, Infant & Early Childhood Home Visitation (MIECHV) Program. Begun during the Bush administration, MIECHV expanded under the Affordable Care Act, and was funded at $400 million until it expired in September 2017. In February, Congress passed the Bipartisan Budget Act of 2018, which reauthorized MIECHV funding for five years through fiscal year 2022 at a funding level of $400 million annually. How will the home visiting landscape in L.A. County change in the future? According to a number of home visitors from the Family Strengthening Network Summit, as well as other early childhood advocates, a welcome addition would be more father participation. So we asked Dr. Deborah Daro — one of the nation’s preeminent home visiting experts and a senior research fellow at Chapin Hall at the University of Chicago — about involving more fathers and other future forecasts for home visiting. As someone who has benefitted from the counseling and support of three different home visitors through various ups and downs —from the birth of her preemie DeShaun to her 1-year-old Nevaeh — Tiffany supports expanding home visiting across the county. But, as noted by home visiting experts and Tiffany herself, some parents may be reluctant to enroll. Tiffany’s solution? Recruit “Home Visiting Parent Ambassadors” — people in the community who have participated in a program to sing the praises of home visiting to other new parents. Spoken like a true Parent Ambassador.